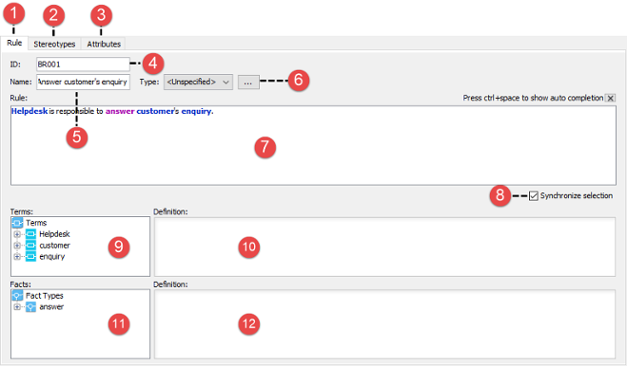 How to Manage Business Rules in Grid? 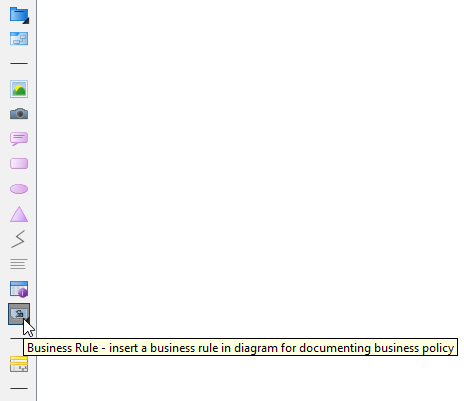 How to Define Business Rules and Model it in Diagram? 6 Type The type of business rule. 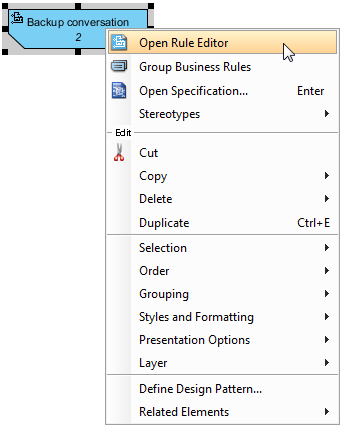 You may click ... the customize the available rule types in this project. 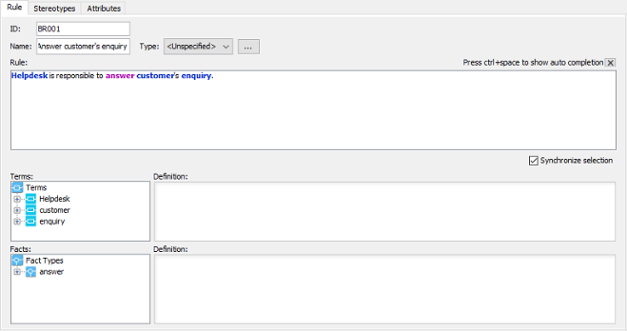 Business rules created in this project can be in any of the defined type. 8 Synchronize selection When the checkbox is checked, the Terms and Facts' active node selection will follow the selection as pointed by the mouse pointer in the Rule definition field. A business rule shape has two visual states - collapsed and expanded. While in collapsed state, the business rule hides away the definition of rule, in expanded state, a new compartment will appear in the middle rule shape for showing the rule definition.